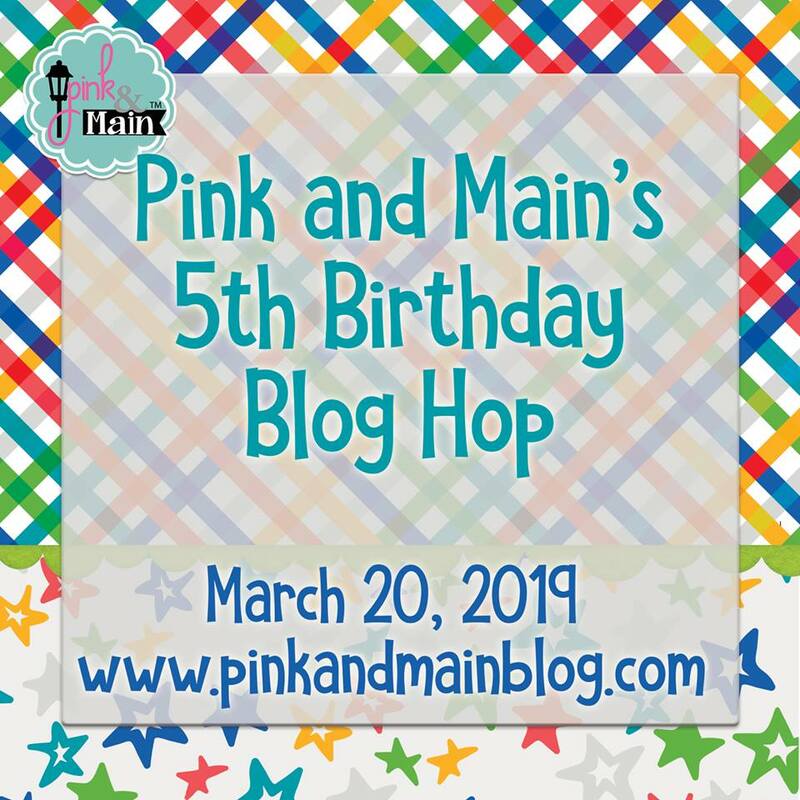 If you have been hopping in order, you should have arrived from Carol's blog. Your next stop will be Lydia's blog. 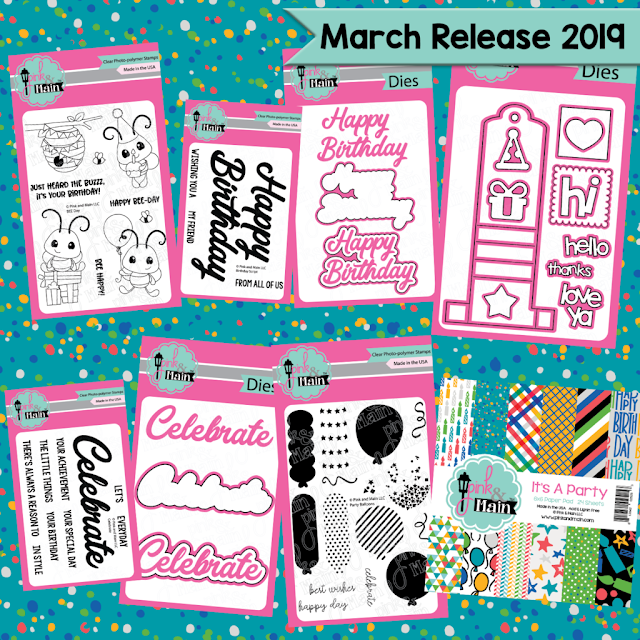 All the new products from the Happy BEEday release are now available in the Honey Bee Stamps Shop. This release offers something for everyone. Start making your wish list! I'm sharing a card today that features some beautiful butterfly images from the Fluttering By stamp set. I've used a special technique to color these butterflies. I simply started with some glossy card stock and four different colors of Distress Oxide inks (pictured below). I used the ink smooshing technique to complete cover these two glossy card stock panels. For the panel on the left, I applied more layers for a very saturated look. As you can see both panels look muted and a bit cloudy. To brighten up the colors, I rubbed on some Distress Micro Glaze over the entire surface of both panels. This significantly intensifies the smooshed ink colors and reveals all the layers. Next I stamped and white heat embossed the butterfly images from Fluttering By right onto the inked panels. I wanted to use several of the butterflies on my card so I decided to go with an A6 sized card base. To decorate the front of the card, I used the Diamond Patterns stencil and some Milled Lavender Distress Oxide ink. I added the butterflies to the card front with dimensional foam squares leaving spaces for the greeting. I custom built the greeting using sentiment stamps from the Fluttering By set and the Happy Birthday stamp set. I then used dies from the Happy Birthday Honey Cuts to cut out the word "birthday" from gold glitter paper along with the white card stock shadow. And finally for a little extra embellishment, I added some Bright Gold Nuvo Crystal drops. Hello Everyone! Today is release day for Hello Bluebird. The April release will be live at 7 pm MST in the Hello Bluebird shop. I've made four cards using the new stamps and dies. This first card features images from the Fly a Kite stamp set. I've created a grassy meadow scene for my cute kite flyers. I thought this scene needed a few flowers so I borrowed some from the Banner Buddies stamp set. For my next card, I used the Unicorn Tales stamp set and After the Rain die to create a fantasy storybook like scene complete with a glittery pastel rainbow. Here's a tip for getting a custom colored glitter rainbow - color the pieces with coordinating colors (I used Copic markers) and then apply a very thin layer of Moonstone Glimmer paste. On this next card I've used the fun airplane image from Maverick. This stamp set has different animals that can be added to pilot the plane. 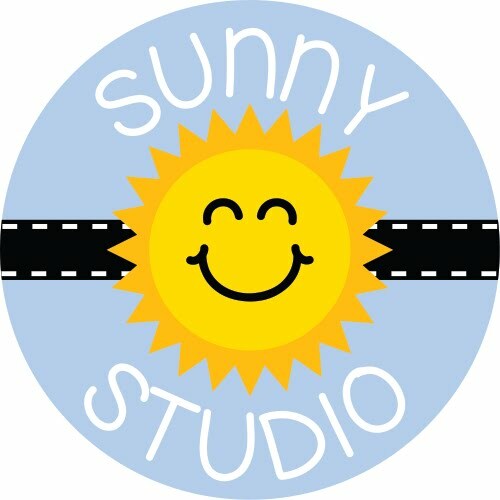 The backdrop for this card was easy to create with the new Sunshine Scene die. This last card features some magical images from two new stamp sets that work perfectly together - Fairy Garden and Garden Friends. I've created a night scene where the fairies and friends have gathered to frolic and dance. Hi crafty friends! I have a fun Gift Bag Card to share over on the Honey Bee Stamps blog today. Whenever I give a gift card to someone, I always like to create a little something extra special to hold the gift card. I've combined several different Honey Bee dies to make this Gift Bag with an insert that has a pocket for holding the gift card. Please visit the Honey Bee blog for all the details. Hello and happy Friday! 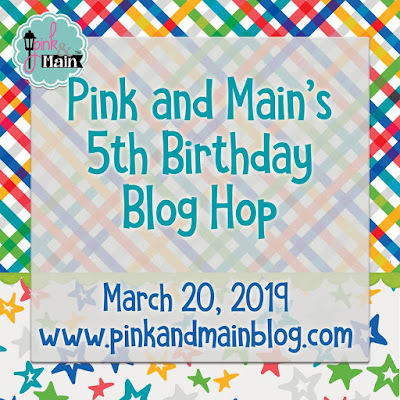 I have one more birthday card to share this week and it's a special one! This one is for my son who's turning 10 soon. I used some of the adorable animals from Portrait Pals to create a fun little party scene. I started with an A2 card base. I blended on some Tumbled Glass Distress Oxide ink for the sky area. I used a die from Grassy Knoll to create the grassy hill where the animals will be peeking out from. I used a blend of Twisted Citron and Mowed Lawn to add color to the hill. I stamped and Copic colored images from Portrait Pals along with party accessories from Greetings Bear. I arranged the animals to look as if they have just sprung up from behind the hill to say "surprise!" There was a space above the monkey and elephant that I thought needed something so I die cut a speech bubble from the Photo Stack die set and stamped the "go wild" from Jungle Littles. I used sentiments from Cherry Greetings to stamp "birthday boy" and 'it's your day". 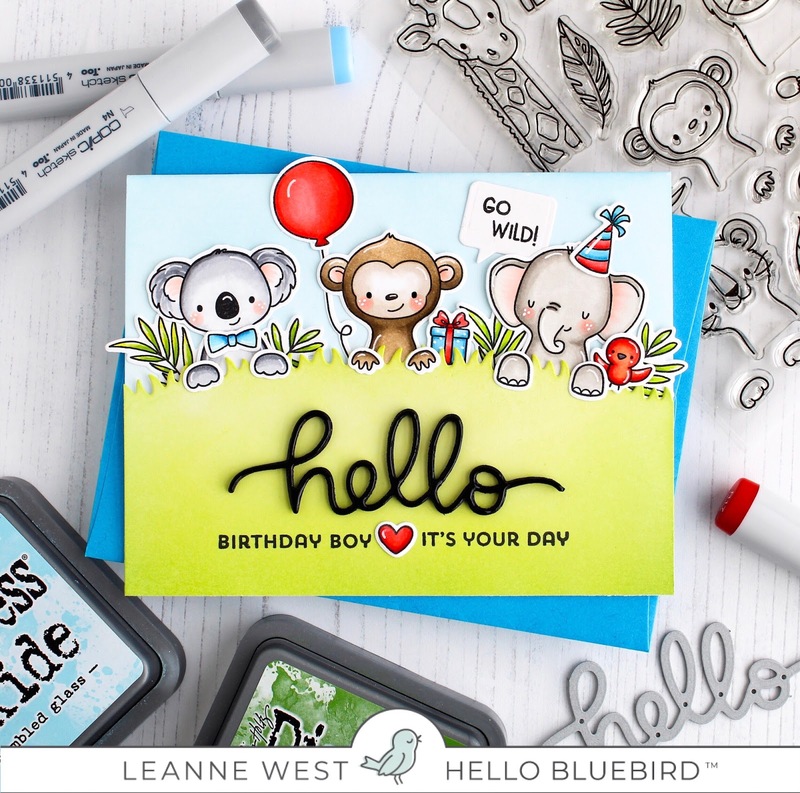 The big hello was created using a die from Gallery Frame #1. I die cut the hello from black fun foam and black card stock and adhered the two together. I then carefully traced over it with some Glossy Accents to give the die cut a nice shiny and raised finish like a puffy sticker. I have another birthday card to share today. This time I've used the Cupcake Builder Honey Cuts to create a scrumptious focal point that's paired with a custom built sentiment. 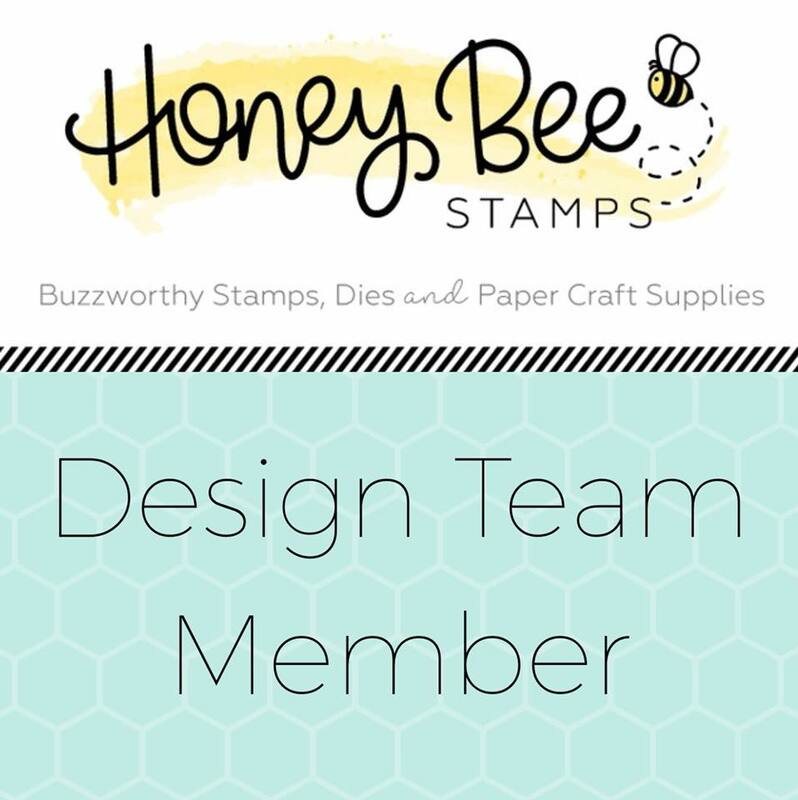 Please visit the Honey Bee Stamps Blog for more details. Have a wonderful day! Hi everyone! With St. Patricks Day right around the corner, I wanted to make a card that gave a little nod to the holiday but still could be used anytime of the year. For more details on this card please visit Honey Bee Stamps blog.